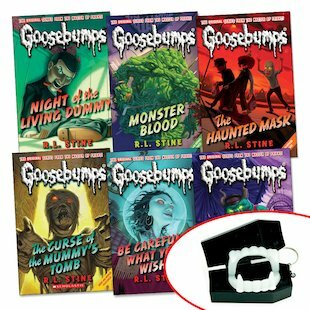 Goosebumps books have vampires, zombies, ghosts, mummies. It’s scary, It’s set in America, and perfect for horror lovers! In goosebumps they have zombyz,dragons,mummys. They stay in the darck caves. whith no food at all. they scare people lods of times. no where to slaep and dragons fiay braeving out of there nosers. I like goosebumps becoes they ar funny.